UP Los Baños in Laguna—roughly 65 kilometers south of Manila—is the country’s recognized leader in agriculture, forestry, and environmental management. Because of its location at the foot of Mt. Makiling and its fields of expertise, it is host to two international research institutions: the International Rice Research Institute and the Southeast Asian Ministers of Education Organization Regional Center for Graduate Study and Research in Agriculture. As a pioneer in forest conservation, UP Los Baños has stewardship over the 4,244-hectare Mt. Makiling Forest Reserve. UP Manila is the leading academic institution in the health sciences. It is home to the National Institutes of Health and the UP Philippine General Hospital, the country’s largest government tertiary hospital. The UP Manila College of Nursing is the World Health Organization’s Regional Collaborating Center in Nursing Development, while the College of Public Health is the Southeast Asian Ministers of Education Organization Regional Network in Tropical Medicine and Public Health Regional Center for Public Health. It has also established extension campuses of its School of Health Sciences in Luzon (Baler, Aurora), Visayas (Palo, Leyte), and Mindanao (Koronadal, South Cotabato). UP Visayas, with its three campuses in Iloilo City, Iloilo; Miag-ao, Iloilo; and Tacloban, Leyte, is the acknowledged authority in marine science education and research, fisheries, and aquaculture in the country. Its research endeavors are supported by the following facilities: Brackishwater Aquaculture Center, Freshwater Aquaculture Station, Batan Mariculture Station, and Marine Biological Station. It is also the base agency of the Western Visayas Agriculture and Resources Research and Development Consortium. Apart from its focus on the sciences, this constituent university also prioritizes the preservation and enrichment of Visayan cultural heritage. UP Mindanao is the only constituent university created by law, in response to the clamor of the people of Southern Philippines to have equitable access to a UP education. Architecture, biotechnology, and agribusiness are UP Mindanao’s strongest programs. It is the Commission on Higher Education’s Zonal Research Center in Region 11 and was given a grant by the Department of Science and Technology for the Biotechnology Program for the Conservation and Sustainable Utilization of Indigenous Bioresources in Mindanao. It also founded the Mindanao Science and Technology Park Consortium to help market the combined facilities and capabilities of nearby regional and local institutions. UP Baguio is the youngest constituent university in the UP System, only attaining its status in 2002. It is a leading institution in the areas of science and mathematics, social sciences, and the humanities in Northern Philippines. Through its research arm, the Cordillera Studies Center, UP Baguio contributes to higher education by focusing on the preservation of the cultural traditions of the Cordilleras, Northern Luzon, and Cagayan Valley. 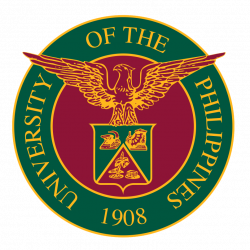 UP Cebu, formerly one of the UP Visayas campuses, became an autonomous college under the UP Office of the President in September 2010. Autonomy was granted to better serve the needs of its region—a region that is aggressively asserting itself as an area for direct and foreign investments. This is why its focus is on the strengthening of its information technology and business programs. 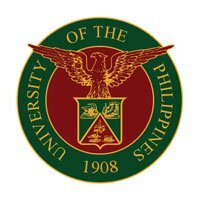 In 2016, UP Cebu was declared a constituent university of the UP System. For additional contact details, please click here.